Barry Bergman is a Senior Planner with a multimodal transportation planning background, specializing in active transportation and grant writing. Barry completed his Master of Regional Planning (MRP) degree in 1993 at the University of Massachusetts. He joined W-Trans in 2018, bringing more than 20 years of planning experience to his new position, including 17 years as a transportation planner in the public sector, beginning at the regional level at the Baltimore Metropolitan Council and in local government at the City of Alameda. Barry specializes in active transportation planning, having managed regional, citywide, and project level plans. 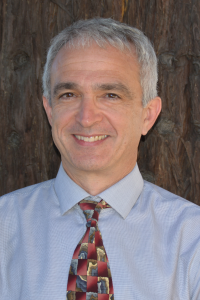 He has provided ongoing technical staffing to Alameda’s Transportation Commission and various committees, and effectively works with a broad range of stakeholders, including agency staff, elected officials, business leaders, and community-based organizations.